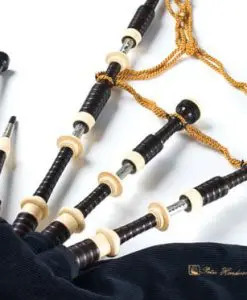 Tune bagpipes accurately, easily every time you play! 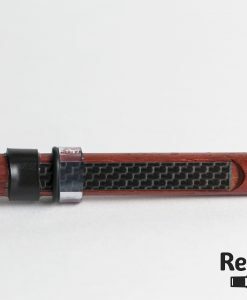 The HBT-3 Bagpipe Tuner is super small, easy to use and accurate bagpipe tuner full of punch, this is simply an essential bagpipe tuner for anyone tuning their pipes. To tune your bagpipes with the HBT-3 all you need to do is play Low A, calibrate the tuner and your ready to start fine tuning your chanter and drones. 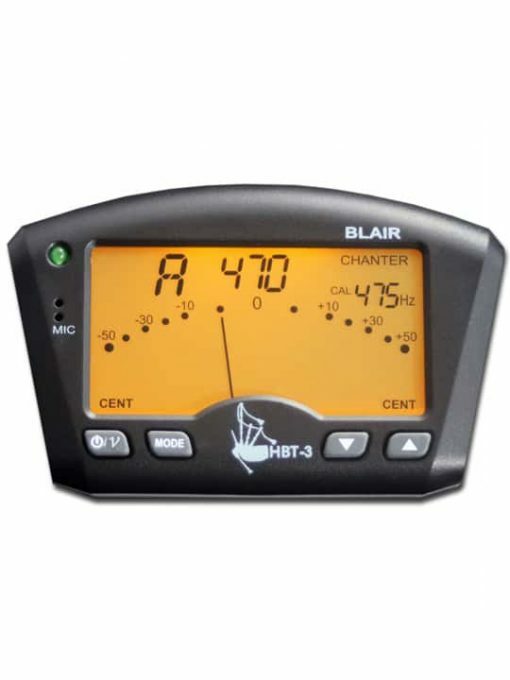 The HBT-3 Bagpipe Tuner will display when a note is sharp or flat and makes tuning easy for all pipers. It has an adjustable needle speed which also allows the piper the best possible detection for fine tuning. 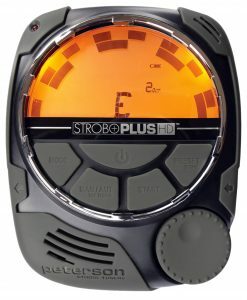 As a feature the HBT-3 Bagpipe tuner LCD also changes colour when the ‘in tune’ (calibration frequency) is reached to indicate the note is ‘spot on’. 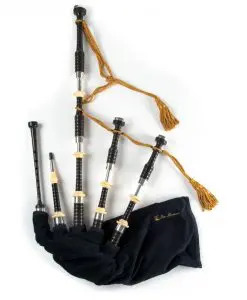 The HBT-3 Bagpipe Tuner is small enough to put in your pocket or sporran, gentle on batteries and has an auto-off function when not used for 5 minutes. 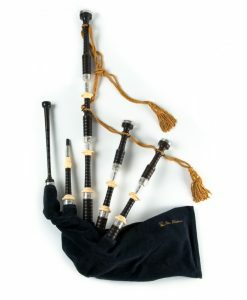 It’s a powerful little tuner, perfect for pipers and truly makes piping more enjoyable. 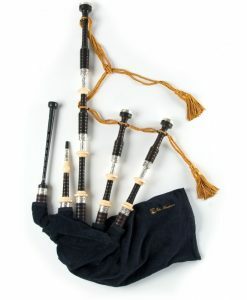 So why is the HBT-3 Bagpipe tuner preferred over a chromatic tuner? 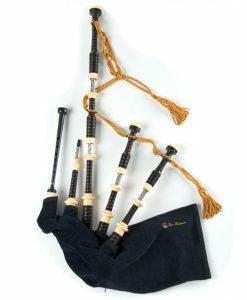 A Bagpipe tuner like the HBT-3 is specially programmed and built for the Bagpipe scale, meaning each note will be detected and displayed correctly for pipers. 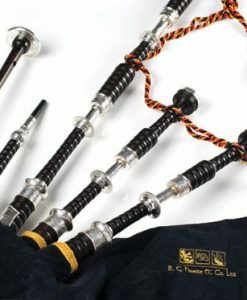 Chromatic tuners are programmed for equal temperament instruments, therefore they aren’t able to accurately display the chanter scale. 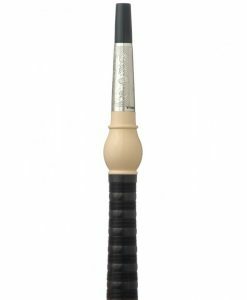 The HBT-3 Bagpipe Tuner delivers precision accuracy and will detect any pitch fluctuations your bagpipe chanter and drones produce, which means if the blowing is not ‘spot on’… the HBT-3 needle will highlight this. However there’s also a ‘velocity’ (v) button which allows you to slow down the needle movement if required. The velocity button gives greater tolerance to pitch/ pressure fluctuations, which is useful at times. 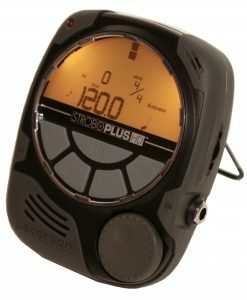 The HBT-3 calculates movement at 1Hz steps between the ranges of +/- 1-hz for superior detection and sensitivity. 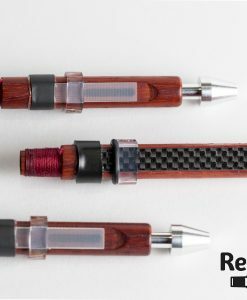 • Dual speed needle style meter, allowing control of how fast you would like the needle to move. • Single Hz movement between -10 & +10 Hz of the calibration frequency- for absolute accuracy. 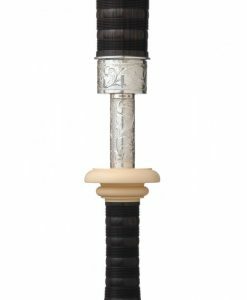 • External Bagpipe clip microphone also included. • Auto Shut off after 5 minutes of no use. 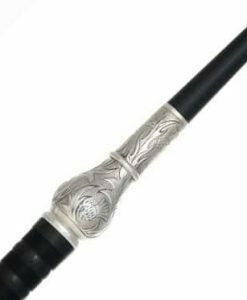 Also included, the specially designed HBT Bagpipe Clip microphone. 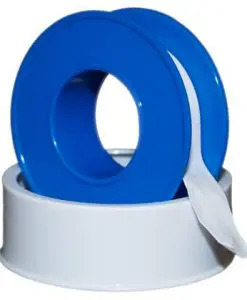 • Soft padded contacts so it won’t damage your pipes. • Quick to attach and remove.